Description: Important! For attendees of the live PDI event in Denver, Virtual PDI is available for free! This offer is available to both members and non-members. If you attended the live event, please don't select this item. Instead, select the item called 'Virtual PDI 2018 for Attendees', which is complimentary for conference attendees! 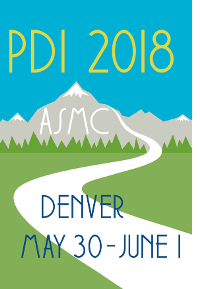 To access Virtual PDI 2018 after purchase, please visit www.pathlms.com/asmc/sign_in. Please allow 48 business hours for your purchase to be activated. Your login ID is your email address, and your password is the default ASMC password, asmc+your member number. (Example: 'asmc123456') If you have questions, please email webmaster@asmconline.org. Description: Important! For attendees of the live PDI event in Denver, Virtual PDI is available for free! This offer is available to both members and non-members. If you did NOT attend the live event, you must select the item called, 'Virtual PDI 2018', and that item is $49 for members, $99 for non-members.